Aztec Aerosols is a contract aerosol manufacturer that provides an outstanding service, tailored to the customers’ individual requirements. Aztec Aerosols was purchased in 1995. At the time of purchase the company was known as M&R Thomas (Aerosol Packers) Limited. It was a small, established business based in Croydon, South London. M&RT was a very old fashioned company with a turnover of less than £500,000. It did not operate with computers and was run from a factory with an annual rent of £10.00. 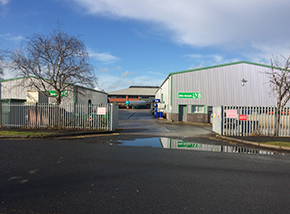 It was purchased as a running start into manufacturing but proved to be difficult to operate because of the fast increasing cost base and difficulty in recruiting staff in the London area. The business was run at a site in Croydon from 1995 to 1999 when the decision was made that there was no future for the business in London. 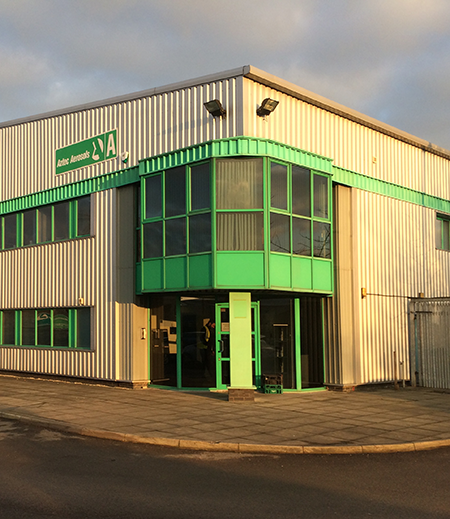 A freehold factory was purchased in Crewe, Cheshire. It has proven to be a very good move for us and following the considerable expenses incurred in moving, has showed continued growth in sales and profitability each year. In 2007 the company suffered a major test when the site in Crewe was destroyed by a fire. Determined to continue trading the company was back up and running within 24 hours. Well established relations with our suppliers and other aerosol manufacturers enabled the disruption to our customers to be kept to a minimum. 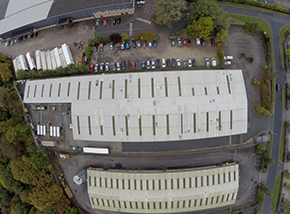 Our new site covers 44,000 square feet and incorporates the old site which is used for the blending facility and our recently completed additional storage building. Since the fire the company has grown steadily year on year and is looking forward to a bright and prosperous future.